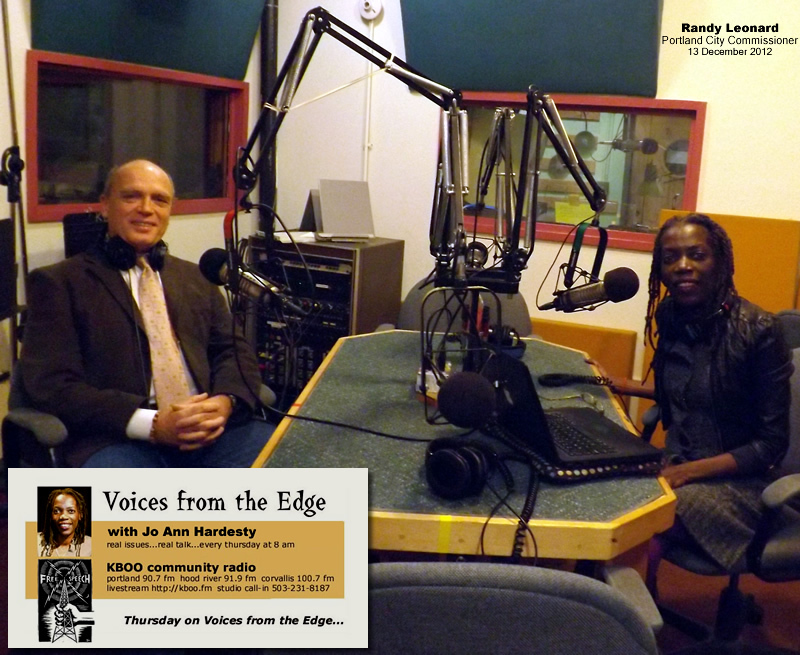 From print to radio & television. We are committed to effective messaging, as part of concerted campaign planning. With strategy based on the partners’ combined experience, your mission will benefit from effective and sophisticated use of media. From the mic to the megaphone is a training package, readily replicable for new audiences. 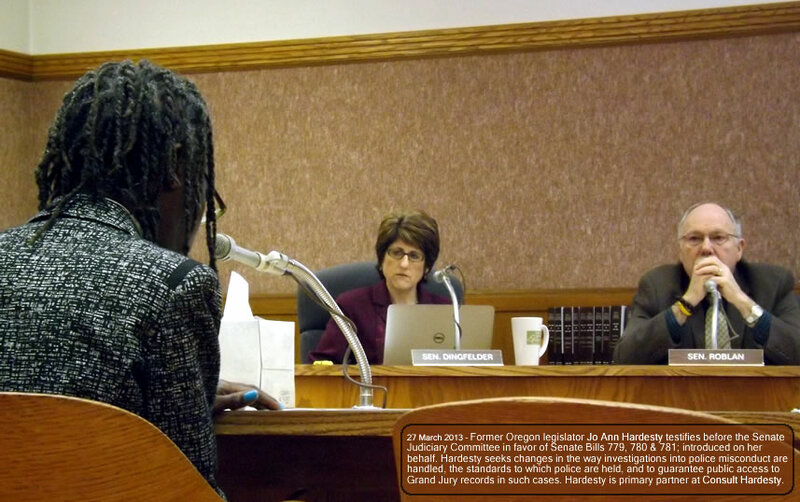 Oregon Senate Judiciary testimony, in favor of three bills we introduced, intended to improve police accountability state-wide. 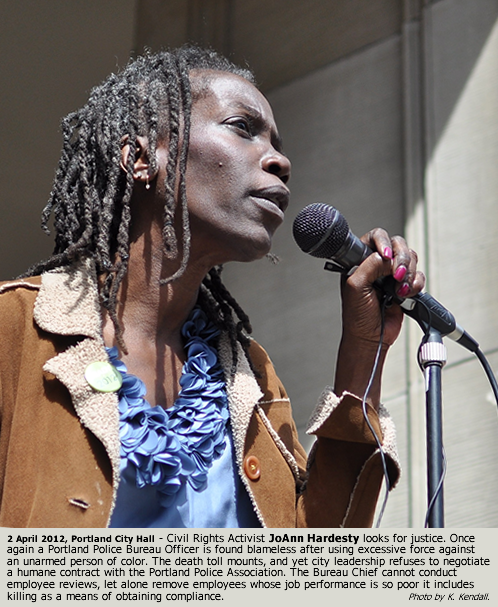 2 April 2012 – Jo Ann Hardesty calls public attention to injustice. 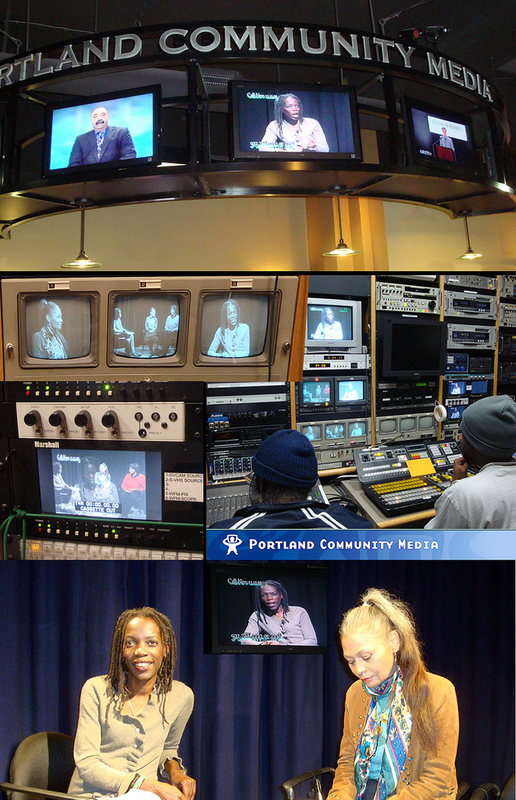 Partner Jo Ann Hardesty is former President of Portland Community Media; Roger David Hardesty honed visual communications talents in print, broadcast television and multimedia production. Combined, their media use strategies benefit from years spent in content provision and broadcast administration.